8 steps employers can take to help bridge the gender gap in health and wealth. 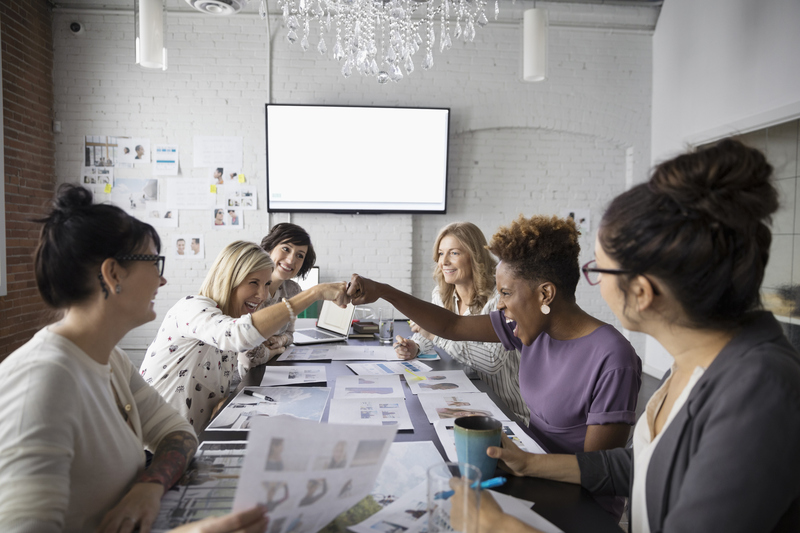 In recent years, companies have increasingly recognized that to attract and retain people, the employer value proposition has to be inclusive and embrace the differences, and fullness of lives, of its employees. This concept is often referred to as “bringing your whole self to work.” For Employers, this means, tactically taking steps to holistically address employees’ needs around not only their job or career, but also their health and financial wellness. Our When Women Thrive, Businesses Thrive research found that women are better represented and have higher advancement rates in organizations that offer programs targeted to their unique health and wealth needs; however few organizations are linking these important levers to help women thrive. · Women have disproportionate responsibility as their families’ caretakers and healthcare decision makers. Women across geographies spend significantly more time on unpaid work than men — caring not just for their immediate families but often for their extended families as well — and leaving less time for them to focus on their own health. Women are also much more likely than men are to serve as the healthcare decision-maker for themselves and their families. (see for example this 2017 report from the World Economic Forum). · Women have different healthcare needs. Women are more likely than men to experience a range of health issues including depression, chronic pain, osteoporosis, among others. While women face similar risks as men do for diseases such as cardiac illness or stroke, there is increasing evidence that biases in treatment are leaving women more vulnerable to poor outcomes. o Women take more breaks from the workforce than men to act as caregivers for children or adult dependents. o Women are more risk-averse in their investment behaviors than are men, limiting the potential growth of their savings. Evidence also suggests that women are more likely to focus on near-term financial needs, given their immediate caretaker responsibilities, versus managing their long-term wealth. o Long-term retirement savings systems and products are not designed to help ensure a sound financial future for those who earn less or spend less time in the workforce — which includes a disproportionate number of women. So what can employers do to help bridge the gender gap in health and financial wellness? 1. Assess workforce data and health utilization data to refine women’s health and financial wellness programs and benefits so they are responsive to women’s unique concerns. 2. Design policies to reflect the disproportionate burden many female employees carry as their families’ “Chief Medical Officer”. These including those on flex time, reduced time, caregiving leave and flexible careers. 3. Ensure leave benefits are offered mothers. Data is irrefutable that that paid maternity leave drives female labor-force participation. 4. Extend leave benefits to fathers as well – and encourage them to use it. Giving fathers parental leave — and encouraging them to use it — leads to better labor-market outcomes for mothers, including higher wages and greater job satisfaction. Leave for fathers also increases home-life satisfaction for men and is associated with better health outcomes for the child. 5. Employ new technology to help women overcome a lack of time, knowledge or trust in healthcare. Some solutions that are trending in popularity include crowdsourcing for caretakers, telemedicine, family planning and infertility support. 6. Implement a pay equity process. By analyzing the drivers of pay in the organization, employers can ensure that pay and people processes are fair, objective and focused on rewarding talent and skill. 7. Offer innovative retirement solutions geared toward women’s unique financial needs. This may include creating new default investment strategies or making adjustments to pension plans — such as how contributions are handled during prolonged periods of absence from the workforce — that could make a big difference to female employees. 8. Help women tackle short-term financial issues as well as retirement. This might mean offering benefits such as financial coaching, student loan refinancing, credit management, non-retirement savings vehicles and income protection that can help alleviate the financial worry that undermines productivity. By thinking holistically and taking action to help women manage their unique health needs and caregiving responsibilities and get on a more sound financial footing, employers can better leverage the female talent pool and boost productivity and engagement. This is the reward when all employees get the support they need to bring their whole selves to work. Pat is global leader who advises clients on issues ranging from the future of work, the workforce, and business growth, as well as gender diversity and people strategy. As the architect of Mercer’s When Women Thrive global program, Pat regularly speaks on the topic of the multifaceted workforce and is a passionate advocate for advancing progress for women at work. Over the past six years, Pat has advised the World Economic Forum (WEF), playing a key role and driving Mercer’s involvement in multiple projects including Practicing Talent Mobility for Economic Growth, Human Capital Report, Disrupting Unemployment, and Future of Jobs. She currently sits on the WEF Future of Education, Gender and Work System Initiative Steering Committees for Education & Skills and Gender Parity. For most of her 25-year career, she has developed and delivered innovative and pioneering work in the area of people strategy, talent management and workforce engagement. She has built multiple markets and brands and successfully stood up several HR consulting businesses.